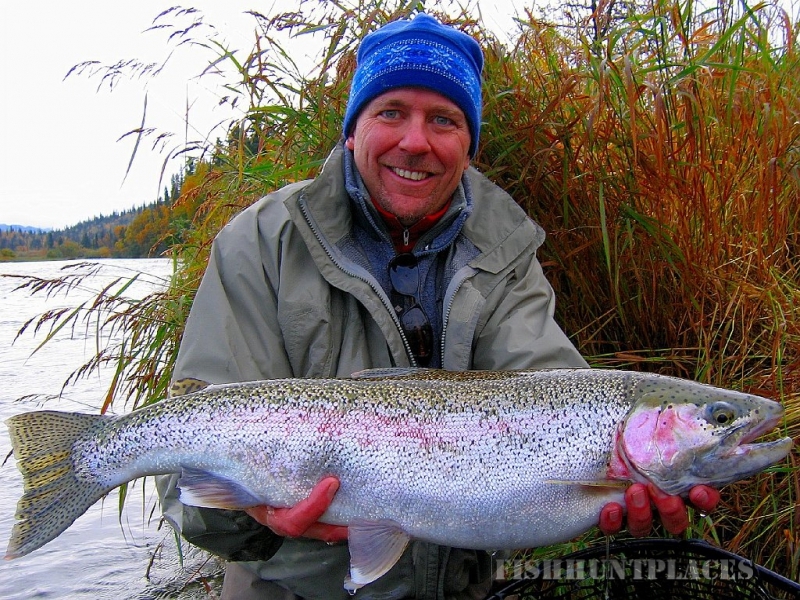 Welcome to Rainbow Point Lodge! 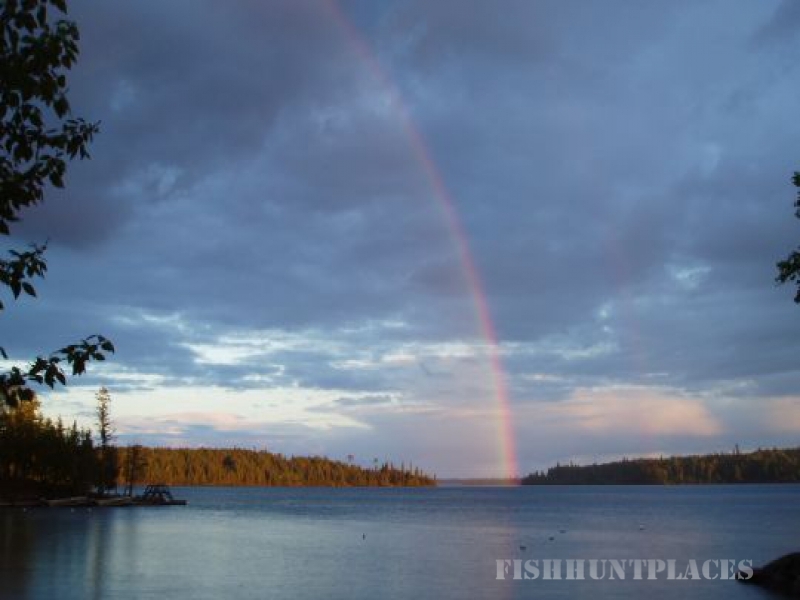 We are a road accessible fishing & hunting lodge, located on beautiful Perrault Lake, in the heart of NW Ontario. Outdoorsmen, families & nature lovers alike can all expect to find some of the finest outdoors experiences offered anywhere. 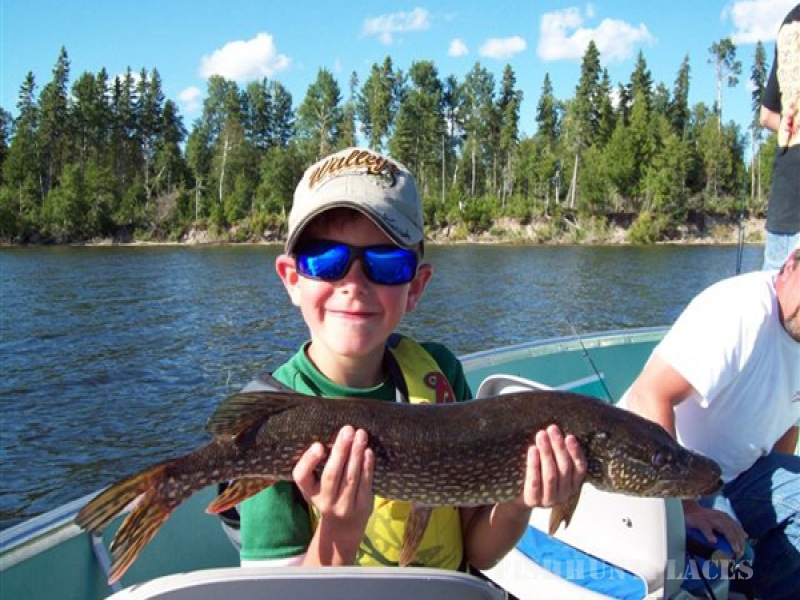 We hope you find the information you are looking for through our website as you plan your next fishing, hunting, or family vacation. 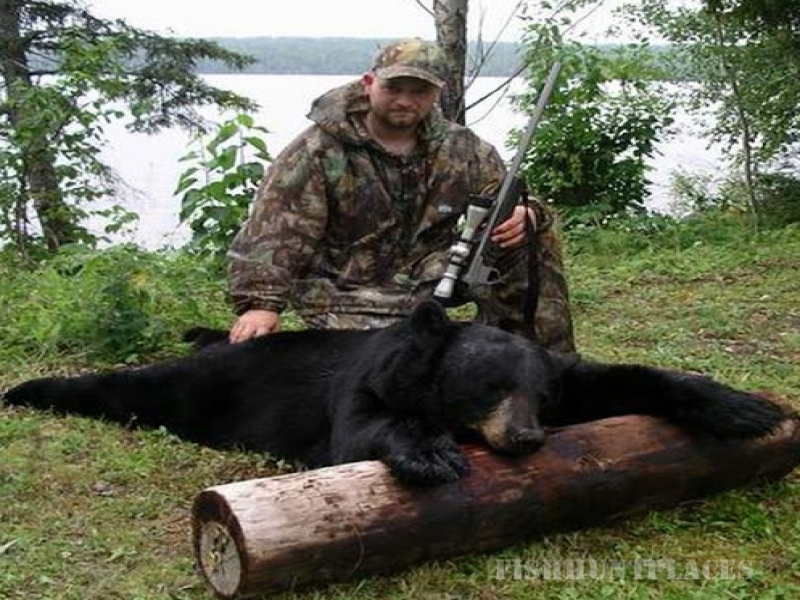 n.
Located in the heart of Northwestern Ontario, Rainbow Point Lodge offers some of the best quality black bear hunts any avid hunter can find. 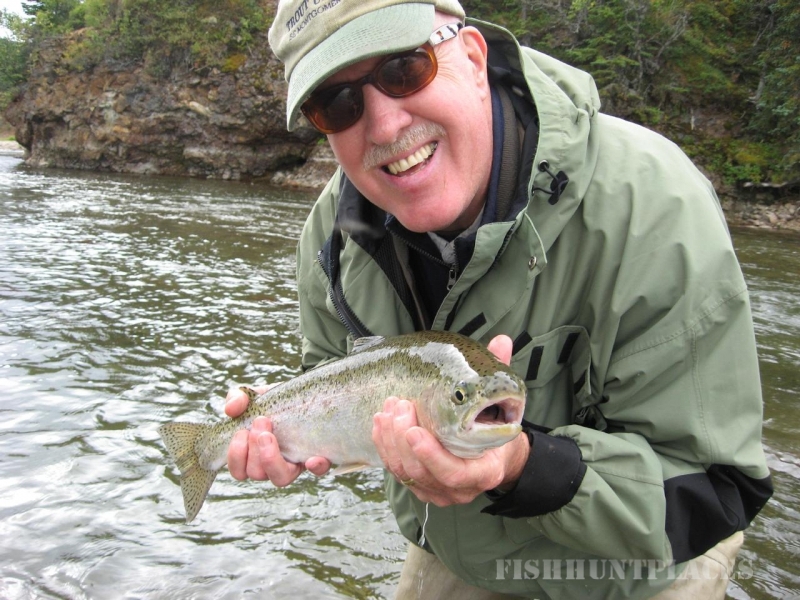 With more than 30 years of guiding experience, your host, Bob, can provide you with the best possible chance of a successful hunt. The Lodge has sole commercial hunting rights to a very large area of wilderness immediately surrounding the Lodge property at Perrault Falls. There is a very healthy population of black bears to draw from in this region. Our central location in our zone, also means our hunters have relatively short distances to travel to get their hunting stands. Whether you are hunting by bow, gun or muzzleloader we will ensure you have an appropriate bait site to suit your needs. We take great pride in the preparation of your hunt, and as a hunter with us, you will know your bait is chosen for you with your best chance of success in mind. There are few more thrilling experiences in the world than being 10 yards from a bull moose in the rut, with a bow in your hand. If this is something that you want to do, give Bob a call today, and he can fill you in on the details and answer every question you may have. Our moose hunt is never guaranteed. 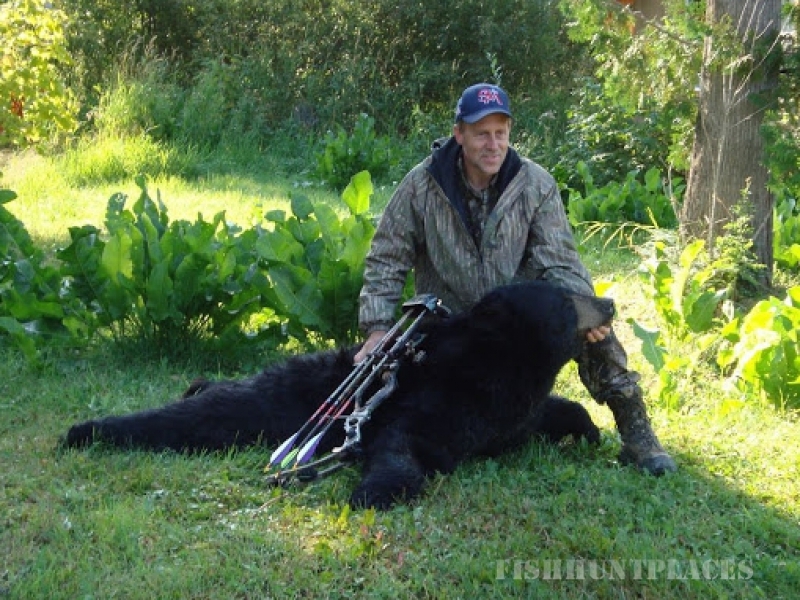 What we can do however, is guarantee that with over 30 years of guiding experience and a detailed knowledge of the land, Bob will do everything possible to make sure your hunt is an enjoyable and successful one. As a hunter you are looking for the right outfitter. As an outfitter, Bob is looking for the serious archery hunter that is willing to put in the time and effort with him for the chance to harvest a trophy moose.This is a fully guided hunt with everything supplied including homecooked meals. You just bring your personal belongings, and hunting equipment.